Bubby and Bean ::: Living Creatively: Minnetonka Blogger Spotlight! Minnetonka has been a part of my life for as long as I can remember. My entire family wore their shoes when I was growing up, and as adult, I've always had at least one pair in my closet. To me, they are the epitome of casual, classic style. 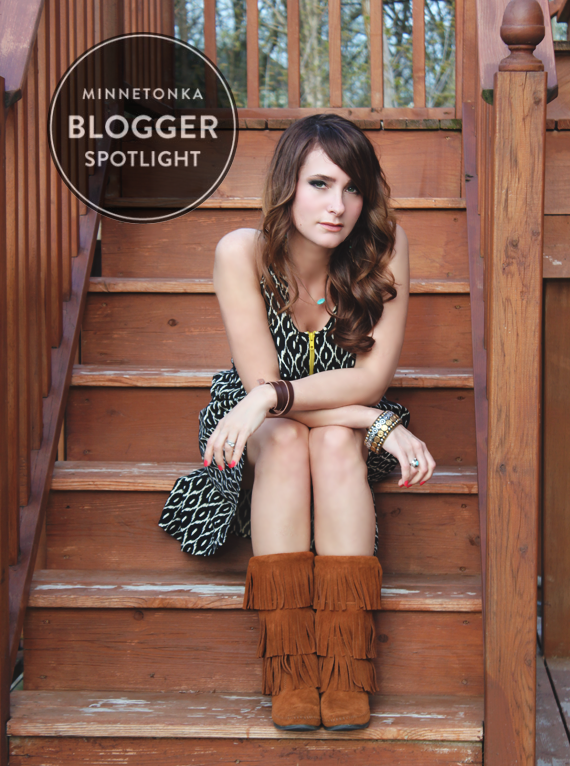 So when the folks at Minnetonka told me that I was going to be their Blogger Spotlight, I was thrilled! I styled three pairs of their shoes, and answered some fun interview questions for them about things like my favorite city, favorite trends, and what song I've been listening to on repeat. You can read the full story and see the looks right here. And make sure to stop back by here tomorrow for a special Minnetonka Giveaway! Wow congratulations! So cool! I love Minnetonka! I like how you call your personal style "modern bohemian"! That is awesome, congrats! That was a great article and I love the styles. I've always wanted a pair of Minnetonka's. I'm planning on getting a matching pair for my niece and I as soon as I can. I'll be back tomorrow for the giveaway!